Pengwern Place is the name for the cluster houses that both face and are side onto the Dee. 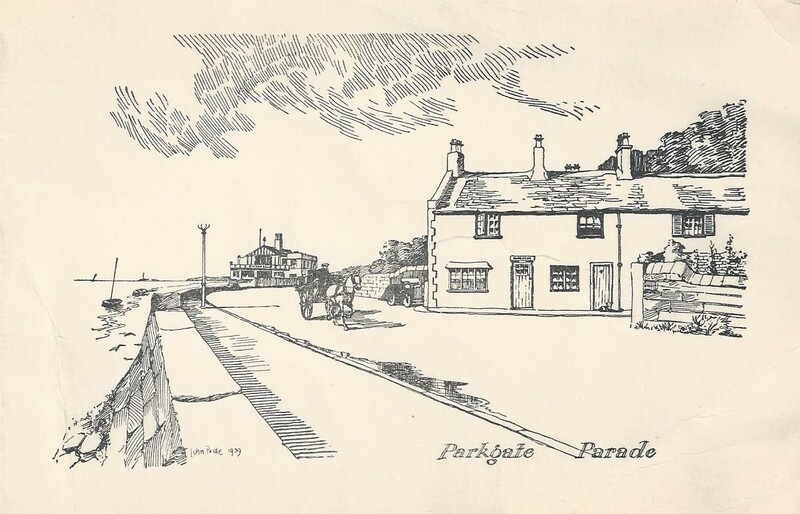 These are some of the oldest buildings in Parkgate. The house Pengwern was a former sea captain’s home and is the substantial double fronted 3 storey house set back from the Parade facing the Dee. 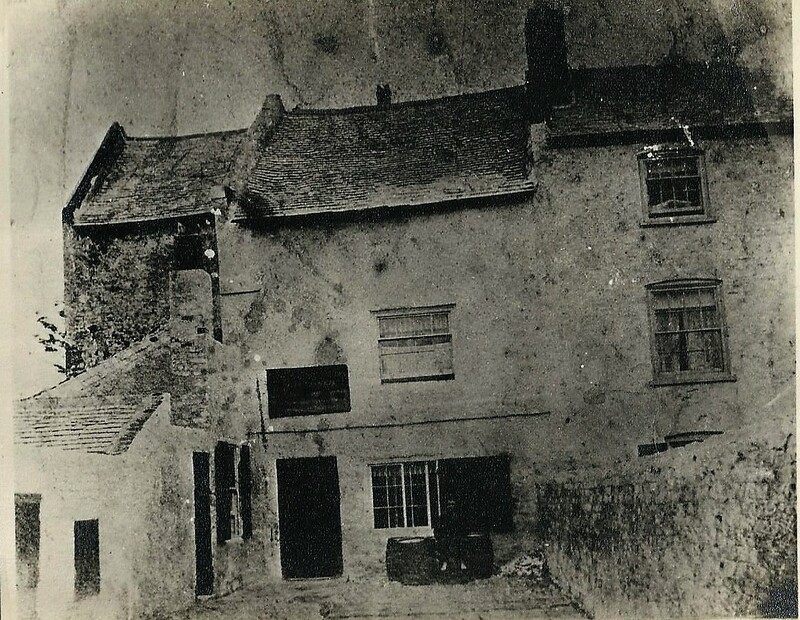 On the left adjacent to Pengwern is Sawyer’s Cottage, thought to have been built before 1700, probably the oldest surviving property in Parkgate. The terrace of 4 cottages that are side onto the Dee and jut out into the Parade are call Dee Cottages, these were built around 1750. From 1793 to 1905 (over 100 years) Sawyer’s Cottage was a public house known as Sawyer’s Arms. This was named after the occupation of the first proprietor Richard Bartley a sawyer and carpenter. It is thought that Bartley was a ship’s carpenter and that ships may have been constructed on the shore before the wall was built. This may be the reason for the orientation of Dee cottages. The picture shows the Sawyer’s Arms as a public house with details above the door and three beer barrels in front of the window. The building has been the subject of major rebuilding and restoration since this early photo was taken. The marsh looks very similar to present day, the channel in the picture is still present and marks the boundary of the RSPB reserve. Beyond this channel the RSPB is responsible for the management of the marsh. 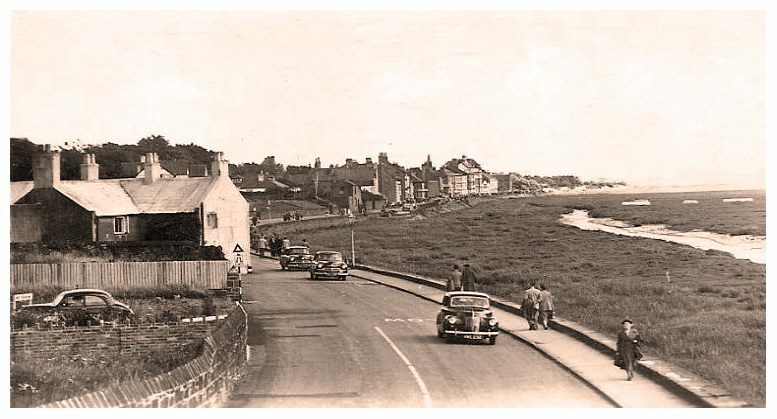 In the foreground the traffic looks lighter than the present day, no need to yellow lines yet!